It was a wet and windy November night but the group that gamely joined us for the first Marble Arch food tour were lovely. 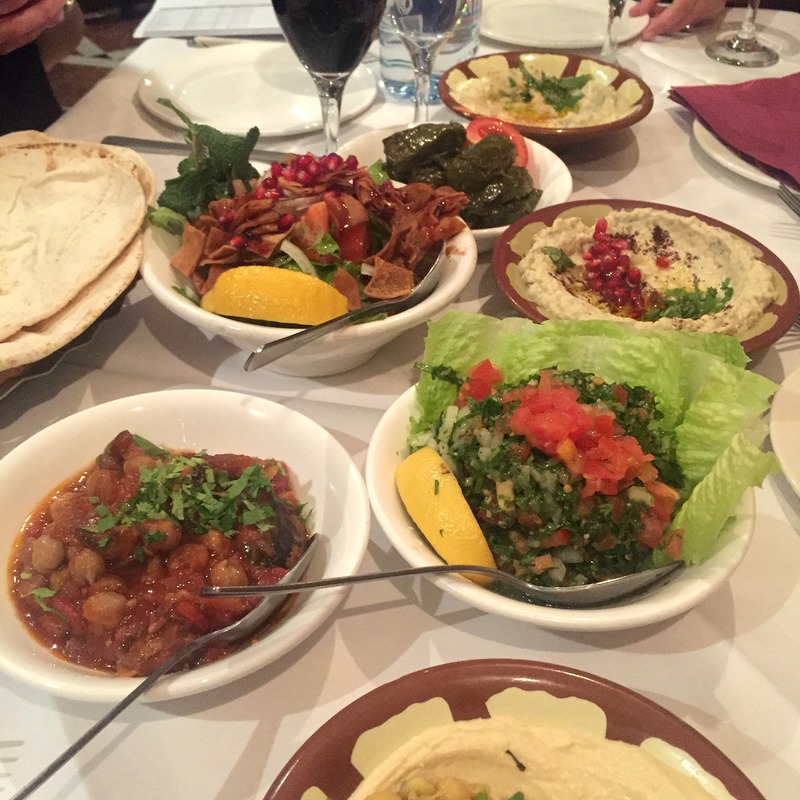 The food and drink tour included stops for wine tasting, lots of mezze, ice cream, cocktails and chocolate fudge, across the Edgware Road and Marble Arch areas. Many thanks to Philglass & Swiggot, Stuzzico, Maroush, Sidi Marouf, Simi’s Ice Cream and Seymour’s Parlour at the Zetter Townhouse for laying on such wonderful food, drink and hospitality. Big thanks also to Helen Graves for organising and leading on the night. The next one will be in March so keep an eye out for the date or email us to express your interest. In the meantime, explore the diverse food and drink offer in our area through our eating out database.